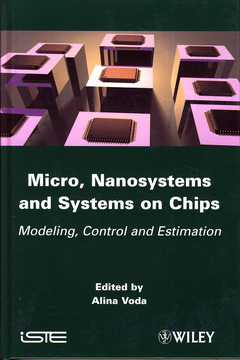 Part I. Mini and Microsystems. 1. Modeling and Control of Stick-slip Micropositioning Devices. 2. Microbeam Dynamic Shaping by Closed-loop Electrostatic Actuation using Modal Control. Part II. Nanosystems and Nanoworld. 3. Observer-based Estimation of Weak Forces in a Nanosystem Measurement Device. 4. Tunnel Current for a Robust, High-bandwidth and Ultraprecise Nanopositioning. 5. Controller Design and Analysis for High-performance STM. 6. Modeling, Identification and Control of a Micro-cantilever Array. 7. Fractional Order Modeling and Identification for Electrochemical Nano-biochip. Part III. From Nanoworld to Macro and Human Interfaces. 8. Human-in-the-loop Telemicromanipulation System Assisted by Multisensory Feedback. 9. Six-dof Teleoperation Platform: Application to Flexible Molecular Docking.